Scotland attracts investment from leading global companies, small to medium size businesses and entrepreneurs looking for a business friendly gateway to markets in Europe with a strong focus on research and development. Scotland has a strong tradition of creativity, ingenuity and invention. Scots pioneered MRI scanning, the ATM, golf, Dolly the Sheep, television and penicillin. By investing here your company will get the best of our innovative people. 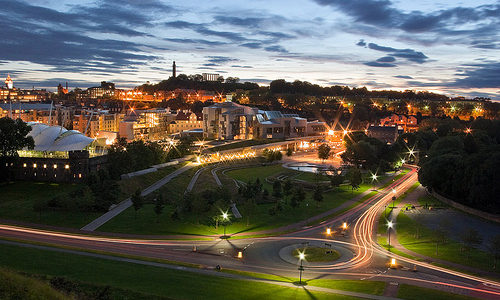 Scotland is a lower-risk option for your business. We’ve played a pivotal role in attracting £600 million of planned inward investment for Scotland. Leading international companies, such as Amazon, Mitsubishi Power Systems, Barclays, Blackrock and Gamesa chose Scotland to expand their operations – testament to the international confidence in Scotland as the location of choice to invest. Scotland’s economic potential for your company is matched by an excellent quality of life that ensures high levels of staff retention for investors.